Order today $39.50 for a pack of 960 tips and $34 for a pack of 1000 uL filter tips which are 576 tips a pack through September 30th, 2013. Boosting promotions on their extensive selection of liquid handling products, Pipette.com has launched their new promotion on universal pipette filter tips from August 15th to September 30th. Universal pipette filter tips are ideal for those dealing with PCR, RNA, microbiology, toxic chemicals, and radioactive isotope work. With the recent sequestration challenge, academia has had to stretch their purchases of liquid handling consumables. Any laboratory short on funds or looking to spend their remaining grant money will benefit from this universal pipette filter tip promotion. 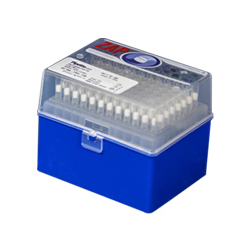 Pipette.com can provide the most affordable pipette filter tips to accommodate any labs budget. This promotion will also benefits corporate, pharmaceutical, and food & beverage companies. Pipette.com is the liquid handling experts that provide solutions which make it more convenient and hassle-free to purchase pipettes, pipette tips, and calibration service. 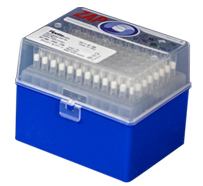 Pipette.com offers a large quantity of pipette tips at different price points, like their brand of pipette filter tips designed for Rainin LTS® pipettes, which prevent cross contamination, are molded by utilizing special resins, and are a more economical alternative to Rainin LTS® tips. All pipette filter tips are manufactured to the highest standard in a controlled environment. Racked sterile and filter tips are ISO 11137 certified and approved for use in diagnostic and medical labs; they are made of virgin medical polypropylene. The promotion for these universal pipette filter tips is $39.50 for a pack of 960 tips and $34 for a pack of 1000 uL filter tips which are 576 tips a pack. Pipette.com distributes a variety of different brands of universal pipette tips, specialty pipette tips, and manufacturer pipette tips from Eppendorf®, Sartorious Biohit®, BRAND®, CAPP®, Thermo®, and Vista Lab®. 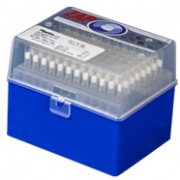 Start saving your labs grants today by ordering filter tips at http://www.pipette.com/filtertips. Questions, concerns and other inquiries can be addressed to the company directly.